All viewings now welcome. Pups have started on their food and are doing well. 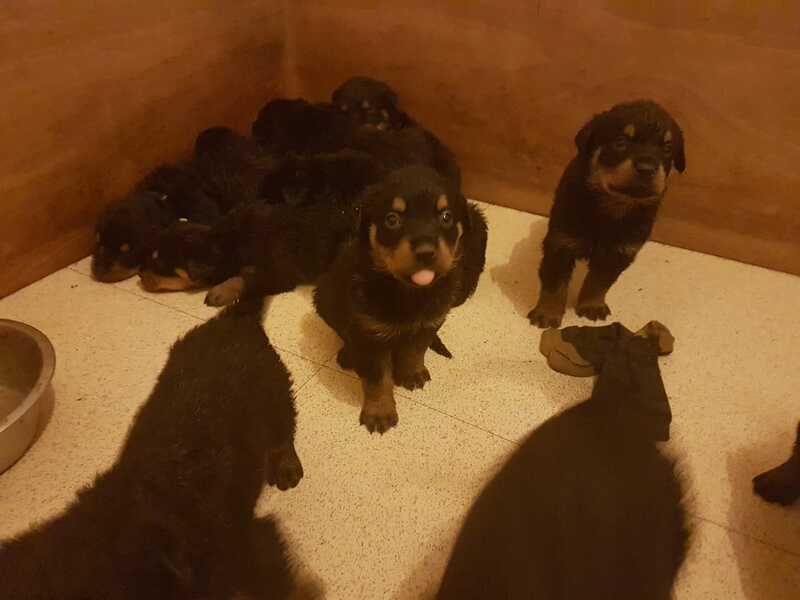 Rottie pups from a loving home. I have both parents with me. Amazing family dogs. 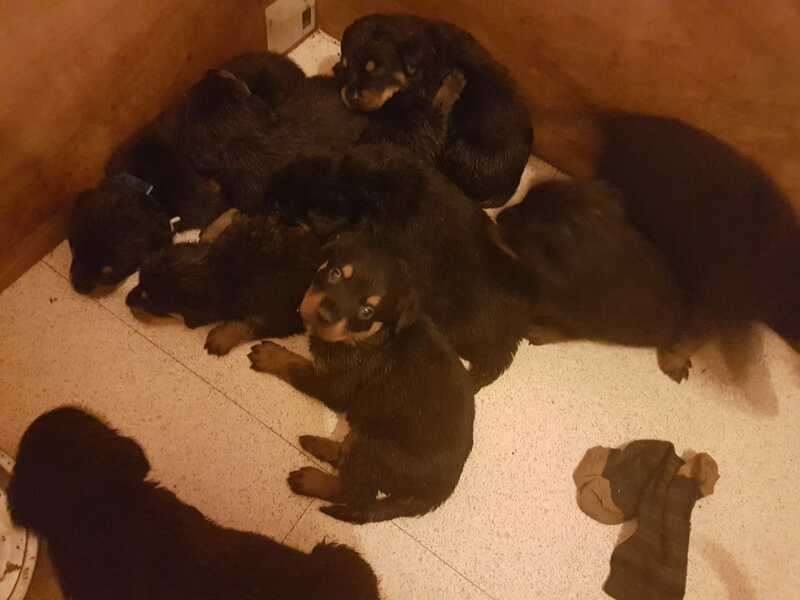 Puppies will have pedigree papers 5 generation certificate, will be flead and wormed. All pups will have microchip and 1st injection.